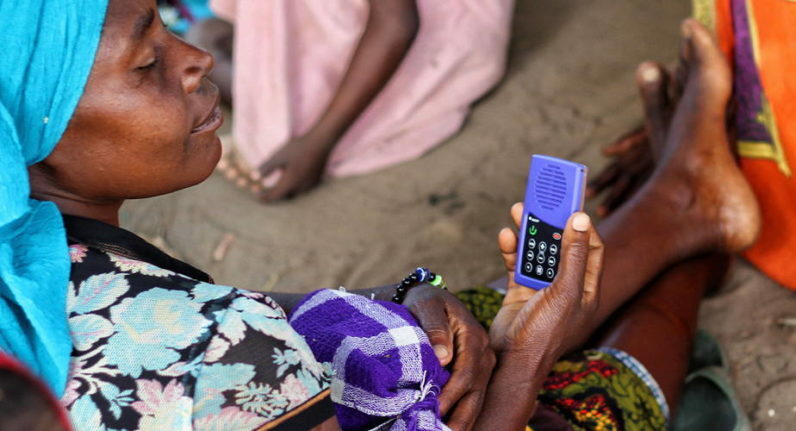 A project by a German non-profit social enterprise, URIDU, and Tanzania’s Ministry for Health and Social Welfare, is using a solar-powered MP3 player to provide health education to women who can’t read in rural parts of the East African country. “We conceived the MP3forLife Player for small group listening – it fosters discussion, exchange and group building,” said Felicitas Heyne, psychologist and founder of URIDU. Considering the various topics covered and the wealth of information available on them that is relevant for the MP3forLife users, it is quite a process to get all the information converted into audio. URIDU say that “all texts are translated with the help of more than 10.000 volunteers from over 100 countries who participate in a unique crowdsourcing effort. Once the information has been translated it is recorded by a native speaker of the target language”. “We want to provide basic knowledge to illiterate rural women, but we also want to create a team spirit among them. They are key to positive change in their countries. Wherever women are empowered, a favorable spiral is set in motion. Health and education improve, populations stabilize, economies grow.” said Heyne in conclusion.